Do you know how you go through life hearing about terrible things, but it's always so obscure in your life? One of those things is slavery. When I reached out to Beza Threads to work with them, the reason why it was so important to me is because my daughter's best friend, when she went to college, became very involved ending slavery! Their main focus is Ethiopia. What's really cool is, their name, Beza, means "redemption." The company was started after a group of students went to Ethiopia and learned about the children sold into prostitution. "Through its partnership with Hope for Children in Ethiopia, one child is freed from slavery for every 240 scarves sold." Boys and girls are lured away from families and sold into prostitution, working in factories, and forced labor. These scarves are made by teenagers, and they take about 8 hours to complete. It's such a good way for them to learn a skill so that one day they can provide for themselves. You will love the scarves that they make. They're beautiful, affordable, and are for an amazingly good cause. I wasn't able to do the review before we left, but as soon as we get it, we'll be sharing pictures as soon as my daughter gets it! We're excited to share our experience it with you! In the meantime, be sure to enter the giveaway of one of their scarves! I like the CREAM WITH BLUE & LIGHT BLUE STRIPES scarf. Thanks. 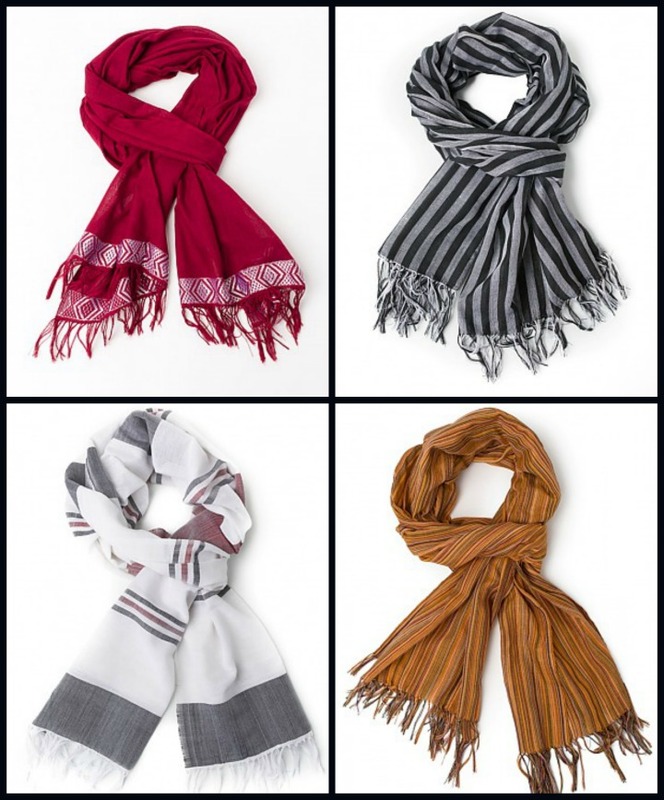 My favorite is the CREAM WITH BLACK & RED STRIPES scarf. I like the Cream with Blue & Light Blue Stripes. I love the TANKARA in black. Such a good cause. I like the Alama Purple with diamonds. I absolutely LOVE the black and white squares. I'm a very plain person so it would match literally every outfit I own! I really like their Alama Purple with diamonds. The Blue Plaid was my favorite. Haset. dark red with black diamonds. I just spent 20 minutes looking at every one because it was so hard to choose!!!! Barbara K. says. I like the pretty blue and white squares scarf. So lovely. Such beautiful scarves! I love the Alama, and the Cream with Black & Blue Stripes scarves best. I like the Red 08 the best. It's very pretty. I would love to win PINK 03 the for my mom! Pink is her fav color! My favorite is their Blue Plaid Scarf. I do like the BLUE MULTI-COLOR scarf, it is pretty! I would love to win the White with Black & Red Stripes Scarf - so pretty. I like the CREAM WITH PURPLE STRIPES scarf. I love their GREEN, RED, & WHITE HATCH scarf! The beautiful blue with pinstripes is my favorite. I like the black and white squares scarf. This scarf is part of our new Men’s Collection. The scarf is 75 inches long and 14 inches wide. I like the BROWN AND WHITE HATCH. I like the red scarf or the purple scarf. I love the cream scarf with black and red stripes. I like the ADNAQOT scarf. I like the pink (03) scarf. I really like the black, white, and yellow plaid. I like the black and white pinstrips for it's classic timeless look. Well the Purple Multi Color of course!! LOL! Second? ADNAQOT These really are beautiful. The multi-color purples because of all the shades of purple. My favorite one is the Gray 02 but they are all just beautiful! I like the CREAM WITH RED AND GOLD STRIPES! The yellow, black and red plaid one is so cute! I like the Dagnat scarf, all of them are really pretty. CREAM WITH RED AND GOLD STRIPES reminds me of harry potter! I like the Cream with Blue & Light Blue. They're all nice though. I love the yellow, red, black plaid. I LOVE THE BLACK AND WHITE WITH THE SQUARE PATTERN. i like the ORANGE MULTI-COLOR scarf.